In 2015, "CityNOW," a new Smart City project began in Denver, Colorado, a city aspiring to become sustainable. And Panasonic is contributing to this project with its advanced technologies and solutions. "CityNOW is an ambitious initiative that we started about a year ago in North America, and it's based on the work that we've done over the last 8 to 10 years in Japan and other parts of the world around smart cities" says Jim Doyle, the President of Panasonic Enterprise Solutions Company, which is driving this project. "So beyond the things that businesses normally think about on a day to day environment, this is a program that potentially, at it's very core, could start to change what North America looks like." 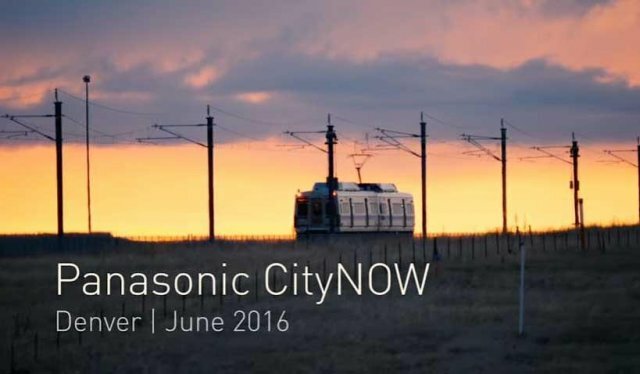 Panasonic's experience with "Fujisawa Sustainable Smart Town" played an important role in its participation in the CityNOW project. Denver's Mayor Michael Hancock explains, "The city of Denver and Panasonic share a common goal - that goal being to empower people through the real-time delivery of information and services. I saw firsthand the power of Panasonic CityNOW efforts in Fujisawa, Japan." Kim Day, the CEO of Denver International Airport (DEN) also has high expectations for the CityNOW project. "DEN has more opportunity for commercial development than any other airport in the United States. With a new commuter rail between the airport and downtown Denver, it's time to capitalize on this tremendous asset. We're currently working with our local partners and Panasonic to kick start this vision." And Tom Clark, the CEO of Metro Denver Economic Development Corporation says, "But to see what we thought was a good idea become an extraordinary idea with everything that Panasonic can bring to the table, not only just Smart City and Peña Station, but also their strength in automobiles, electronics, all those things, can be part of answering the questions that we want to be, which is 'A Global City.' We couldn't have found a better partner than Panasonic to come here and be a part of that, the answers for the next generations to come." This project has adopted advanced technologies such as a microgrid, a pilot system for smart LED street lights, and solar parking canopies. To bring this concept of a microgrid that flexibly powers the entire 400 acres to life, Panasonic has formed a partnership with Xcel Energy and installed a 1.3MWh solar power generation system at the Denver International Airport. George Karayannis Vice President of the CityNOW project at Panasonic North America states, "In Japan, we're the clear market leader in intelligent transportation management systems. And we're bringing that technology and capabilities to the US to improve vehicle safety and throughput, to enhance the driving experience, and to facilitate the introduction of autonomous vehicles. This hasn't been done anywhere in the United States." According to Mayor Hancock, "It's ultimately about making our residents' lives better, simpler, more comfortable, and more connected." The Smart City of tomorrow is beginning to take shape here, today, in Denver.